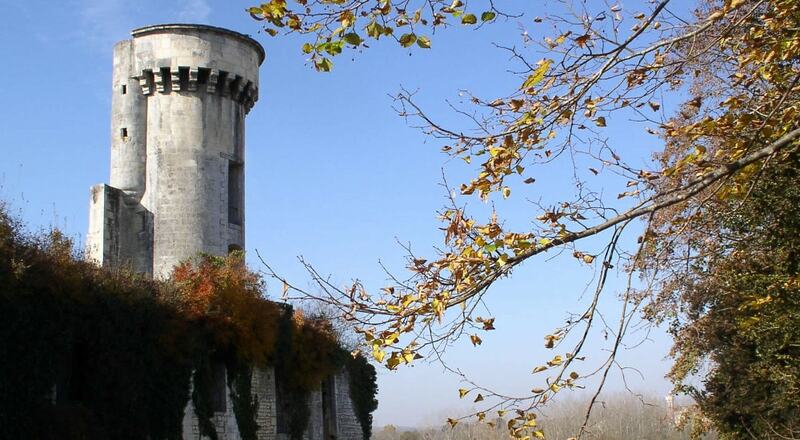 The Castle of Taillebourg was built in the first half of the 12th century in a commanding position, overlooking the valley of the Charente River. Because of its strategic importance, it was the scene of many conflicts throughout the medieval era. The original castle was used as a shelter by Louis VII of France and Eleanor of Aquitaine on the day after their wedding, in July 1137. It was built as an impregnable fortress, protected by mountains and inaccessible on three sides; the fourth side was heavily fortified. Despite that, Richard the Lionheart managed to destroy the castle in 1179 after a conflict that lasted five years; it was the first great military victory for the famous King of England. The Castle of Taillebourg was used as a base by French king Louis IX before the Battle of Taillebourg (1242) which he fought against Henry III of England. The battle took place over a bridge built over the Charente River, near the castle; it resulted in a decisive victory for the French. Today, the partially ruined castle has been converted into a public garden; visitors can admire the 18th-century battlements and the underground rooms of the old castle. The site also offers nice views of the valley of the Charente.